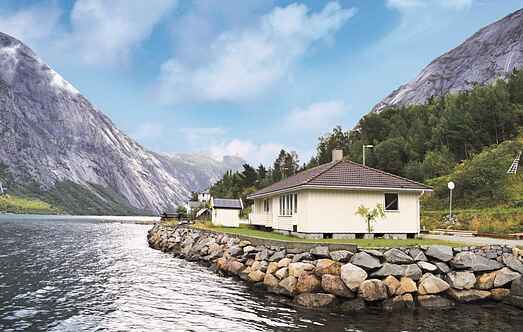 Find a vacation home to rent in Eidfjord Municipality from our list of vacation rental properties. Campaya has over 6 vacation homes available in Eidfjord Municipality, which give you the possibility to locate a unique accommodation in Eidfjord Municipality which completes your check-list in search for the perfect self catering vacation apartments in Eidfjord Municipality or vacation villas in Eidfjord Municipality. Cozy holiday house with a good standard and great location by Hardangerfjorden. The house has a nice outdoor area and a small pier. 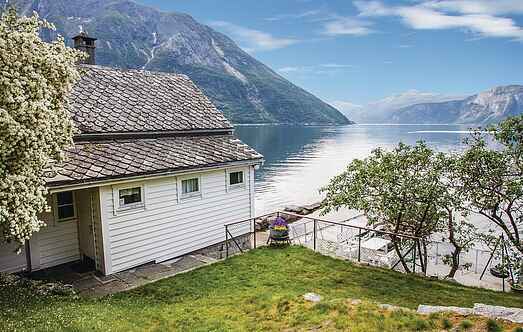 Holiday home in beautiful surroundings directly by the Hardangerfjord. The fjord is rich in fish. Fish cleaning place by the berth right outside the house. Comfortable and cosy holiday home situated at the innermost part of the Hardangerfjord, surrounded by wild and beautiful scenery. Cozy cabin in beautiful surroundings right by Hardangervidda. Great hiking opportunities in the area around the cabin with several fishing lakes where you can fish trout. Cozy and practical mountain cabin with easy accessibility and fantastic location on Hardangervidda. An older farmstead in a remote location, surrounded by fantastic nature; goats are grazing on the lot. Outdoor sitting area with garden furniture & grill.